Made out of a lightweight plastic core and handpainted with the traditional Mardi Gras colors. Music note paper detail & Venice scene. 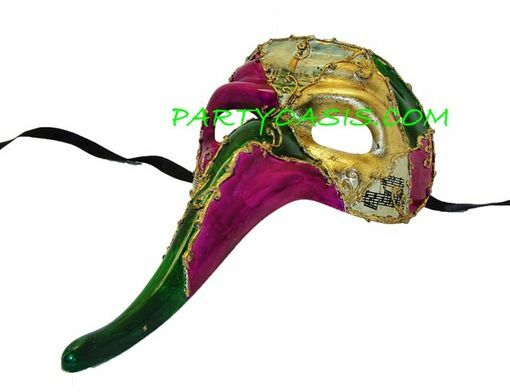 This Naso long nose Venetian style mask is easy to wear with black ribbon ties.